Kris Wu’s (吴亦凡) confusing rankings on the US Billboard has sparked debate and discussion on the fan-driven culture of the Chinese entertainment industry. In a bold and incredibly candid essay that has been trending on social media, a writer criticized the state of China’s current entertainment culture, and how many popular idols are relying on their fans to reblog and like their content numerous times to inflate sharing numbers. 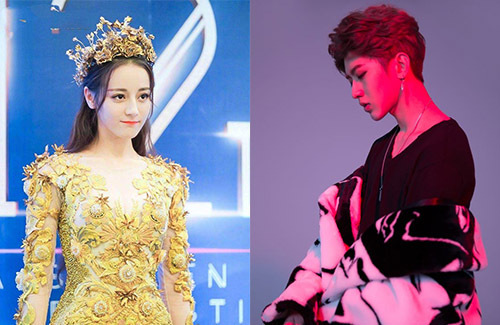 The writer specifically mentioned rookie singer and Nine Percent member Cai Xukun (蔡徐坤), actress and producer Yang Mi (杨幂), as well as actress Dilireba (迪丽热巴), who recently won the Golden Eagle Award for Best Actress. In an example, the essay writer talked about the inflated amount of likes in a Cai Xukun Weibo post, which was reblogged over 103 million times. As there are only about 400 million Weibo users, the writer pointed out that it is impossible for a rookie singer like Cai Xukun, who did not rise in popularity until his appearance in Idol Producer <偶像练习生> this year, would have accumulated that many reblogs. Dilireba, who won Best Actress at the Golden Eagle Awards for her performance in Pretty Li Huizhen (漂亮的李慧珍), won not only Best Actress, but was also chosen as the Golden Eagle Goddess, one of the highest honors for Chinese TV. At 26 years old, Dilireba is also the youngest actress to win Best Actress. Wang Hailin’s bold claims and thoughts got many fans upset, and understandably so—however, many netizens still stood by his side, expressing their support. Many netizens also agreed to disagree, saying that while it’s true that many of these idols have supportive fans that help them exaggerate numbers, their popularity did not come out of nowhere. DLRB is a pretty big star because she is under YM who is a really big star. Even when DLRB was still only playing some annoying small roles, she was already famous to the point where people may not like her but they “know” who she is. About acting, her acting is only the exact same like that of Zhao Liying from Boss&Me and JOF. I wonder what that writer Wang Hailin have to say about ZLY because she’s the same like DLRB, ZLY can be number one then why can’t DLRB? Without fans, both the actress would be nowhere. But at least DLRB seems to have some modeling background as back up if her acting career ever falls out. I don’t think Kris is all that well liked, although he has a group of substantial support. He’s pretty much the same like Cai Xukun in my eyes, what is the writer Wang Hailin’s opinion of Kris too ? If Kris can be popular, why can’t Cai Xukun too? Which idol star today does not rely on media play and fan power? As long as they are idol star, their only reliance is good looks and fans. Calling out on DLRB and CXK only, that is not fair at all. All idol stars are the same like those 2 as well. I expect that writer should never work with any idol star ever if he hates idols so much. Although I do tend to dislike the fact how crazy idol’s fans are, they attack non-idols and real serious actors i.e. Sun Li, if they ever appear like a threat to stealing their idol’s lime light. Why the writer only called out Reba and Cai XuKun? I would say he should called out at least 3/4 of Chinese celebrities for being “fake”….How many percent of celebrities in this world are “real”??? He sounded “bitter’….Whatever you said, Wang Darling, but Reba and Cai XuKun are the ones laughing all the way to the bank…. The only skills celebs needs nowadays are pretty, good surgeon, and a strong backer/connection/fan base. I mean how many celebs really have real talent like only a handful and sadly many that’s famous and repeatedly takes on leading roles has very limited to no acting talent. I mostly see good looking faces with stiff to zero acting. I prefer someone who draws me in by their acting rather than their face. It’s nice to have both but that’s pretty rare. There are hardworking talents out there but sometimes talent isn’t going to get you the money or fame it’s the looks and connections. Uh, if you are going to call out fake, let’s call out AB first, then Lu Han! Those two are the epitome of fake, talentless actor and actress! DLRB is not bad, she’s serviceable like many current stars. If you want awesome acting, need to look at the 40+! Who has many years of experience! Plus back then, their training were a lot more intense! Also Bubu Jinghun? The sequel to Bubu jixin? N the other one, sequel to the original meteor shower? I’m sorry but dude can’t even come up with his own original drama concept? And now he’s calling other fake? @littlefish Yea exactly. It’s already a given that idols rely on fans to push them to the top regardless of whether they have talent or not. I think Wang has some good points, but unfortunately he went about it wrong — he should’ve just presented facts instead of directly diss artists who he felt were fake. Even though I am not his fan but I have to admit that Lu Han is an amazing dancer too. LOL!!! I realised it now, I got distracted….haha…. @littlefish totally true. It would have been way better to critique the system than to specifically point out certain artists. The Golden Eagle award was voted by fans, it was neck to neck between Reba and Yang Zi, whether Reba did anything or not, the results would have been the same. I know that Reba has been working non-stop for the past 4 years, and I’m sure the guy from 9% has also been working hard to get to where he is now. If they didn’t work hard, there is no way they would acquire so many fans and be so popular in such a large pool of talent such as China’s. Dilreba is just a pretty face and acting is mediocre. Sun Li is amongst those who are good in their craft!